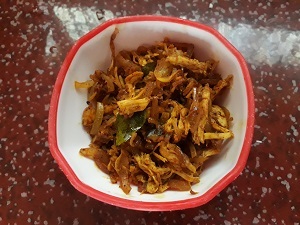 Prawns and chicken undaputtu is a spicy and healthy breakfast recipe in Kerala. 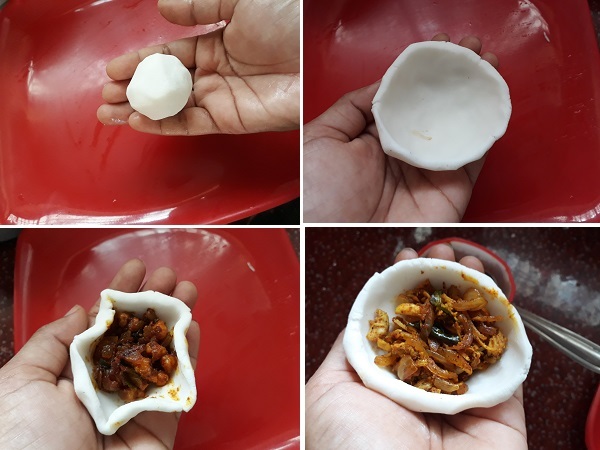 This is also an iftar special snacks recipe. 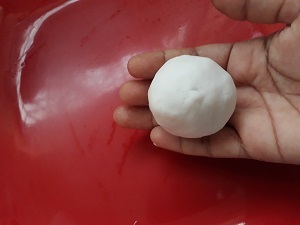 My baby like this undaputt very much, the making is also very simple. 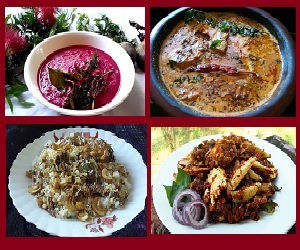 Let’s see the making of chemmeen and chicken undaputtu is bellow with detailed recipe with images. 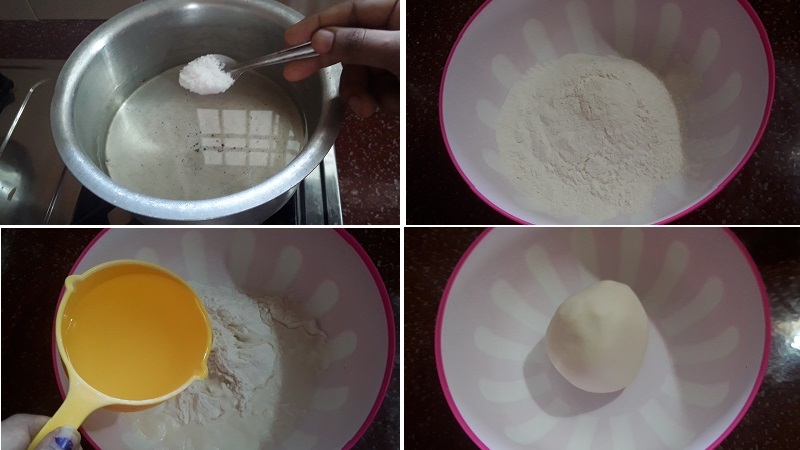 In pan heat water by adding enough salt, add this water in to the rice powder little by little and make tight dough. 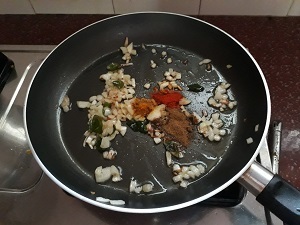 Heat oil in a pan, add finely chopped ginger and curry leaves. Sauté 1 minute. Add chopped onions and salt fry till the onion is transparent. Then add masalas in it, sauté again till the raw small away from the masala. Add chopped prawns, mix well. Now add very little water, allow it to boil. Close the lid and cook for 2 minutes. Remove it in to a plate and keep it aside to cool. Add shredded chicken pieces in it and combine well. Remove in to a bowl and keep it aside to cool. 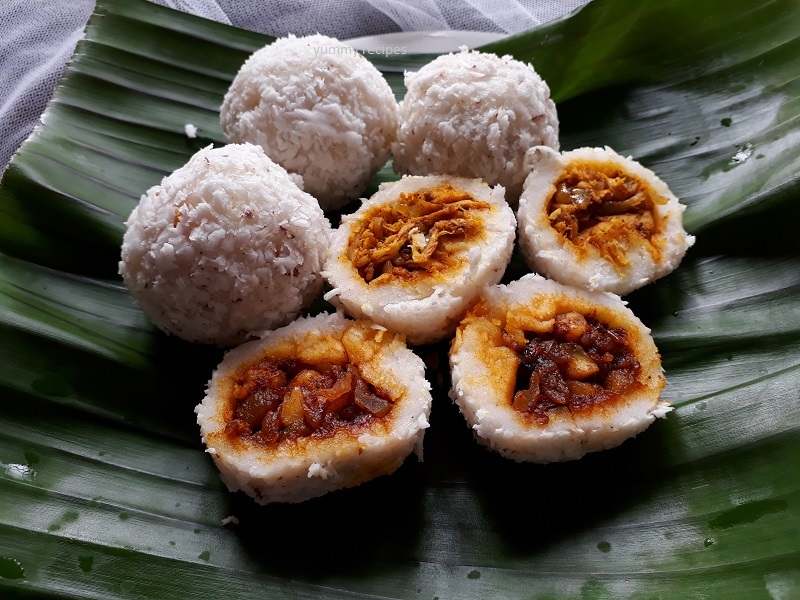 Take a lemon sized balls from the rice powder dough,Make small discs put ½ table spoon filling in the centre. Close it well without any cracks. 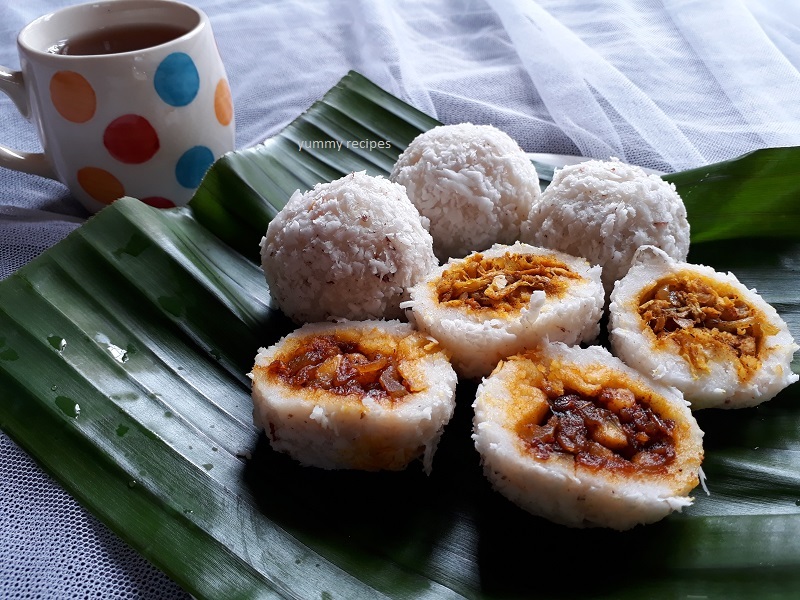 Roll each ball in the grated coconut. Steam cooks the prepared balls for 15 to 20 minutes in medium flame. 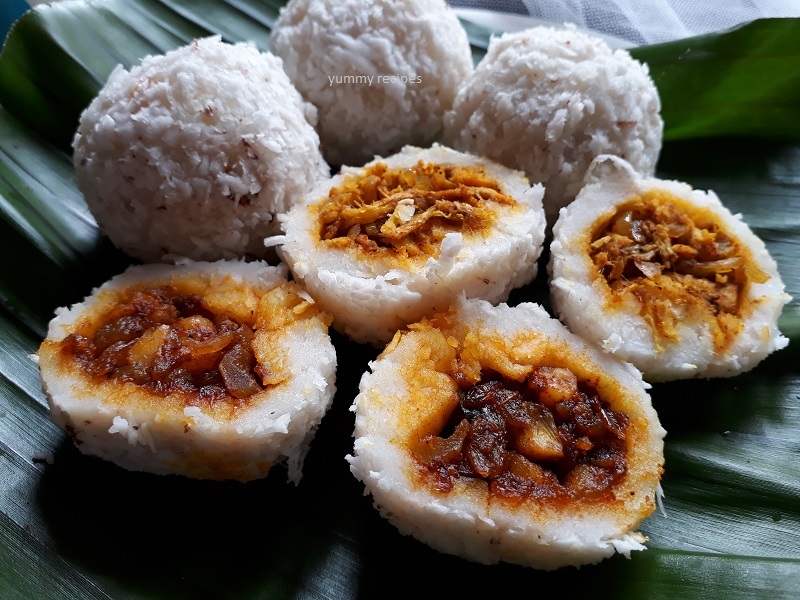 The tasty prawns and chicken undaputtu are ready to use.